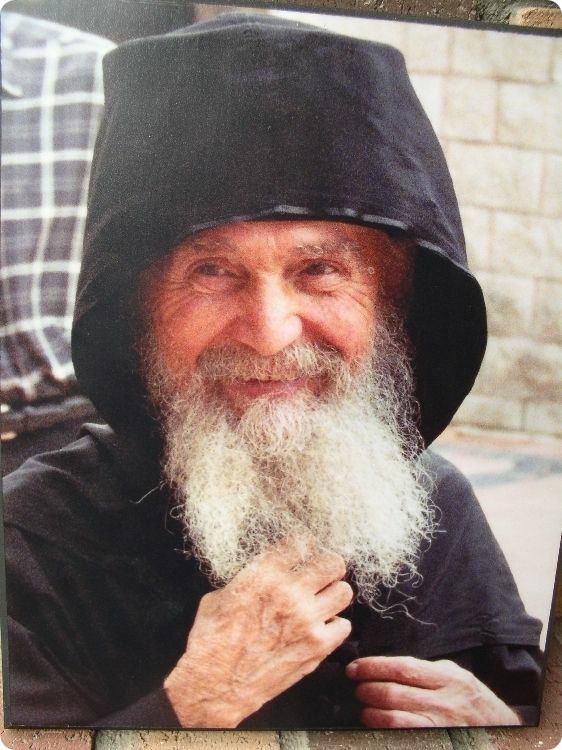 The elder Julian (Lazar) is approaching the 93rd year of his earthly sojourn, brightened by his unceasing prayer. For the purity of his heart, God bestowed upon him the answers to many questions, some not even pronounced aloud. 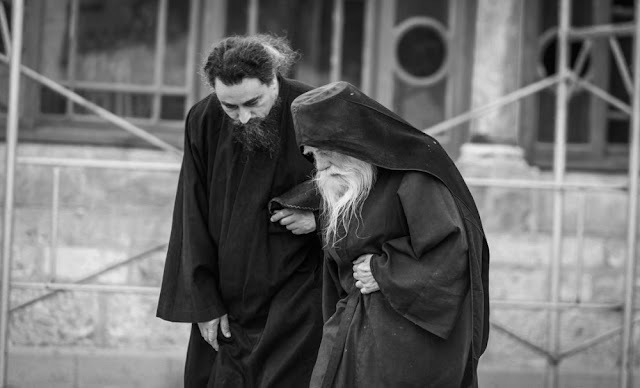 The “Elder of Prodromos,” as people with great affection call his holy mountain, is the kind of spiritual father who is more and more seldom found on Earth: a hermit who weeps with you over your sins and unfailingly heals the wounds of your soul with wise counsel and prayer. A great agent of the commandments, he is one of those men of whom it his said: “whosoever shall do and teach them, the same shall be called great in the kingdom of heaven” (Matt. 5:19). 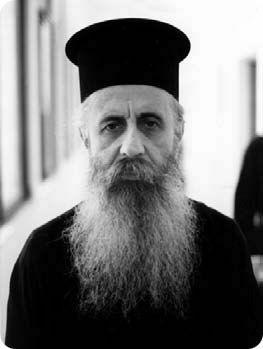 And yet, although he has a “good heart and a light hand,” according to Father Arsenie Papacioc’s expression for spiritual fathers, he can also be extremely severe toward your sins if he sees that you persist in them. Even in this severity though (towards the sin, but never the sinner!) his love for people was obvious. For the purity of his life, God gave him the gift of always seeing (before you did!) where there is a “crack” in your heart, the place through which the passions penetrate into your soul. 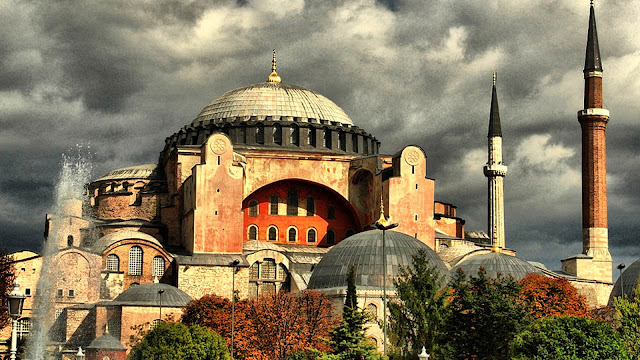 In precisely this place, Abba Julian teaches you to apply the cure. Together with three good friends I visited Abba Julian in February 2014, and one evening when we complained about the many earthly cares and lack of time for prayer, the elder responded to us this way. —I see that you people are very busy and could have much to say -- if it was necessary to speak -- but I think that in this life it is important to struggle for the life hereafter. Indeed, God gave us time and this life so that we would come to Him prepared. We do not know, for it is not given to us to know, neither the moment, nor the hour when we will depart to the Lord to give our account. After all, God did not create us without a purpose. He announced the purpose already in the very beginning of the Bible, in the Book of Genesis, 1:26: And God said, Let us make man according to our image and likeness. The next verse says that, God made man, according to the image of God he made him, and nothing is mentioned about likeness, because it should have been realized in Adam. Thus, the goal of our life is deification, because it is written: Be ye therefore perfect, even as your Father which is in heaven is perfect (Matt. 5:48). —We do not know what God looks like, as we read in John 1:18, No man hath seen God at any time. This is true, but we can meet with Him in prayer. Go into your room, into your chamber, into your heart, and above all, truly think of Whom you will speak, and then say as I, an old man, teach you: "I thank you, O Lord, for leading me to speak with You; me... the greatest sinner of all!" And then stand and speak with God. After all, what does He want from us? That we should cast away from within us all the sin that defiles us. At midnight or even noon, because we sin throughout the day, enter into the depth of your soul and speak with Him who forgiveth all thine iniquities (cf. Ps. 103:2). And then say: "Forgive me, O Lord, forgive me, for I did not know that they occur before Your eyes! I was after all dead-hearted and did not think about You." Do that throughout the day and learn to stand before God, for thus will you cleanse yourself and prepare for the coming Judgment. And again you will see not only your smallness and the abundance of your sins, but the also goodness of God, Who desires not the death of the ungodly, as that the ungodly should turn from his way and live (Ez. 33:11). 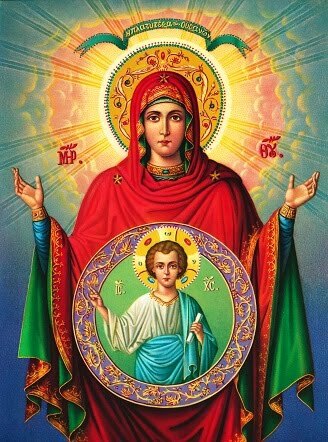 All prayers are beautiful, and it is good that you read both the Book of Hours and in the Supplicatory Canon to the Most Holy Mother of God. But if you have little time, stand before God as I taught you, and speak to Him from all the fullness of your heart. Do this and begin to feel God! And you will realize that everything that you do, you do before God! And again, remember that when your prayers cease, then sin begins! Even the cessation of prayer itself is sin. Indeed, God said, "Be holy! 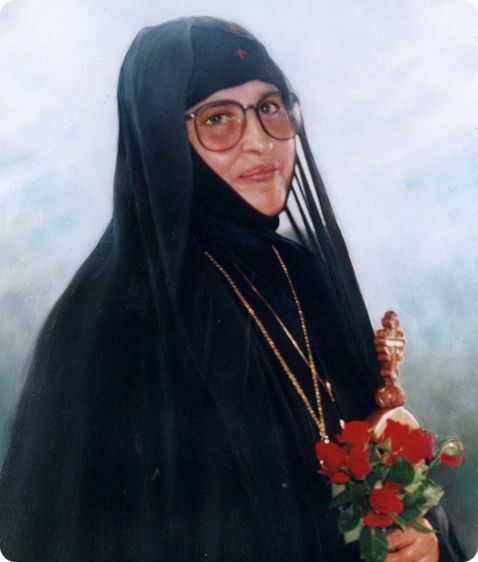 "2 And I have never heard of such a thing as saints who did not pray,. Even the Apostle Paul said to pray "without ceasing"!3 Without ceasing—not from time to time. In previous centuries, there were no priests, no churches, no monasteries, just a community of believers amidst the pagan world. The apostle told them to pray without ceasing, and this exhortation also applies to you who do not have time for prayer. After all, even those who lived during the apostolic times did not know how much time they would have for prayer, because they were always persecuted. —And now we look at it in another way: we are departing for another world. We are dying for this world; we are hurting both here and there... When something begins to hurt us, we run to the doctor and take care of our bodies. What about disease of the soul? Why do we not take care of it at all? It may happen that your soul is wounded and you do not know what it suffers from. When your body hurts, you go to the doctor for a cure. In the just the same way, when your soul hurts you should seek solace and healing from a spiritual father. —You see, a truly healthy person always has God in his heart. 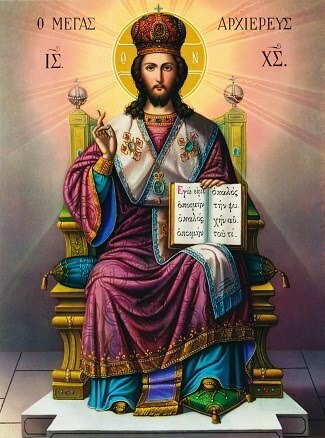 If you have read Gospel of Luke 17:21, it, then you know that there it is written, Behold, the kingdom of God is within you. We also find another text in the First Epistle to the Corinthians 3:16 that confirms this: Know ye not that ye are the temple of God, and that the Spirit of God dwelleth in you? You see that Apostle Paul places a question mark: "Do you really not know that God lives in you?" That is, the body is the temple of the Holy Spirit. The bodies of some saints did not decompose and gave off a sweet fragrance because throughout their earthly lives they glorified God in themselves. —You know that "God is love." Indeed, in his First Epistle the Apostle John writes that, He that loveth not knoweth not God; for God is love (1 John 4:8). And in Luke 6:36 is written: Be ye therefore merciful, as your Father also is merciful. Love and mercy. Thus, this is what God wishes to find in the heart of man -- love and mercy. And if He finds them, then in that heart abides His Kingdom. Each man should ask, is the Kingdom of God inside me? Is there that much love and mercy inside me? And if there is -- and of course there is, for God does not lie -- then one should ask himself: what kind of thoughts should come from my mind, if I am the church of the Holy Spirit? Thus, the safekeeping of thoughts is a great matter in the fight against the enemy. However, anger could not reach our hearts if they are full of love and mercy, for the Lord also says: Love your enemies, bless them that curse you, do good to them that hate you, and pray for them which despitefully use you, and persecute you (Matt. 5:44). What sort of evil could afflict you if you love your enemies? You should know, however, that in the Second Epistle to Timothy, 3:12 is written that, All that will live godly in Christ Jesus shall suffer persecution. So, you must expect tribulations and afflictions if you desire the Kingdom of God; and the Savior tells you to pray for those who persecute you. —The first thing that sickens the soul is self-justification. It is difficult for a person to suffer "offense" in the world without holding the person that caused it in disdain. —This is certainly true. And yet how would this be, if instead of responding to offense with hate, you smiled amicably at your persecutor and prayed for him? A good Christian should not have enemies, by a small measure of will and conduct. This is not just for his own sake; if you know that someone suffers difficulty because of you, go and ask his forgiveness, for if you are angry with him also, then there will be two people clothed in hatred; and if you approach him with love, then perhaps you will win him over and you both will gain peace. Who among us does not need forgiveness? Then why should you be deprived of it and justify yourself, when you know that God gives the greatest forgiveness, as only He knows the heart of man? Therefore, give God truth and offerings, and your soul will in this way gain peace. —If your soul gains peace, try now to have zeal for God. Speak to Him as much as possible and follow the commandments that He gave you to attain life eternal. Struggle in fasting and in prayer, For without me ye can do nothing.6 Thus, as much as possible, we will follow the fasts because through them we make ourselves holy. We are not killers of the body; however, the body needs to be humble and attune itself to fasting and acts of moral courage in order to heal the soul. We cannot do this without a spiritual father. When a person goes to his spiritual father and weeps for his sins, confessing them since the time of his childhood, he becomes a spiritually healthy person. If you become healthy, you can no longer remain indifferent to the spiritual anguish of others. For the love of your neighbor you must try to save his soul. It is necessary, however, to have discretion, for Christ said, Neither cast ye your pearls before swine, lest they trample them under their feet, and turn again and rend you (Matt. 7:6). Therefore, you must be extremely wise, as wise as serpents, in order to be able to gather other souls both for the sake of Christ as well as for their own salvation. —Yes. It is as I said earlier about the image of God in man. Or as the Fathers have said, "Salvation will come to you from your neighbor, but so also will condemnation." If you go to a spiritual father and hide no sins from him (nor from God), and if you follow the canons, you will find your way to the Kingdom of Heaven. But it is necessary to feel sorry about your sins, or else you will not receive forgiveness from God. However, if you remain in a spiritual connection with your spiritual father and strive to follow his guidance, you will have a healthy soul and zeal for holiness. One must make sure that no sins remain unconfessed, because in the world, in the churches of this world, the sacrament of repentance is extremely difficult to fulfill. This is because there are many Christians, few priests, and even fewer spiritual fathers. Therefore, the spiritual father does not have enough time to explore the soul of the Christian, and the latter may return home with unconfessed sins (committed in ignorance, for example). In times past, people had notebooks in which they recorded their sins so that they would not forget them during confession, and now, after communism has taken its turn on these poor people, this healthy custom has been completely lost. 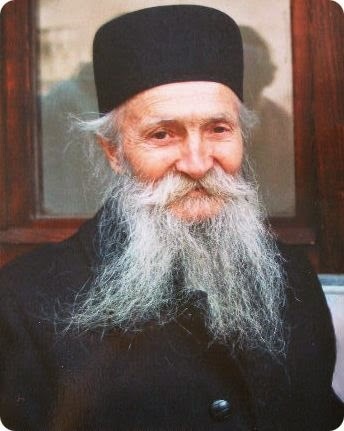 I recall that Father Iustin (Pârvu) also mentioned this custom. I want to ask you, Father: is it possible to confess while one is under penance and when it is not permitted to receive communion? —Of course. If your conscience is nagging you because of a sin you committed, run quickly to your spiritual father and confess. Do not sit in sin and moreover do not put off repentance. It is written in the Book of Revelation 21:27, that in the city Shall in no wise enter into it any thing that defileth, neither whatsoever worketh abomination, or maketh a lie! And what it happens if you have received a penance, and you die without having received the Eucharist, and without having fulfilled the penance? What happens to the soul? —It is saved. As long as it is under penance and is fulfilling the penance, it is forgiven its sins. However, I read once in a country newspaper about a nun in Bessarabia who had fallen painfully to the ground when she was putting on her shoes, and spent many days in a faint, or possibly in a coma. In any case, she did not die, because her heart was beating properly. 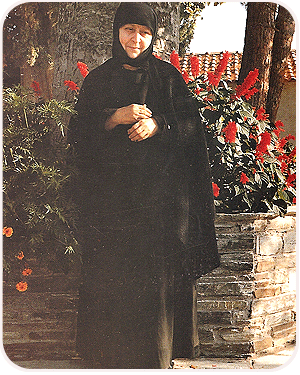 When she came to, she told the entire community how the former abbess had met her in a wonderful place, and confessed to her that she had not been there from the very beginning, but the prayers of the nuns had brought her to this status within six weeks from her death. The abbess had died without having recently received the Eucharist and only the prayers of the community brought her to this blessed place. That means that even those who die while under penance are not sent directly to the place where they should go -- to "a place of brightness, where all sickness, sorrow, and sighing, have fled"? Will you give us a word for the benefit of our souls, Father? —Well, as advice I will remind you of the words of the Apostle James, a kinsman of the Lord, who said, Know ye not that the friendship of the world is enmity with God? Whosoever therefore will be a friend of the world is the enemy of God (James 4:4). It depends on you, whose friend you want to become. 1 The February birthday of the elder -- he was born on February 8, 1926. 3 See: 1 Thess. 5:17. 4 See: Saint Isaac the Syrian, The Ascetical Homilies of Saint Isaac the Syrian, Homily 57. 8 See: 1 Thess. 5: 17.